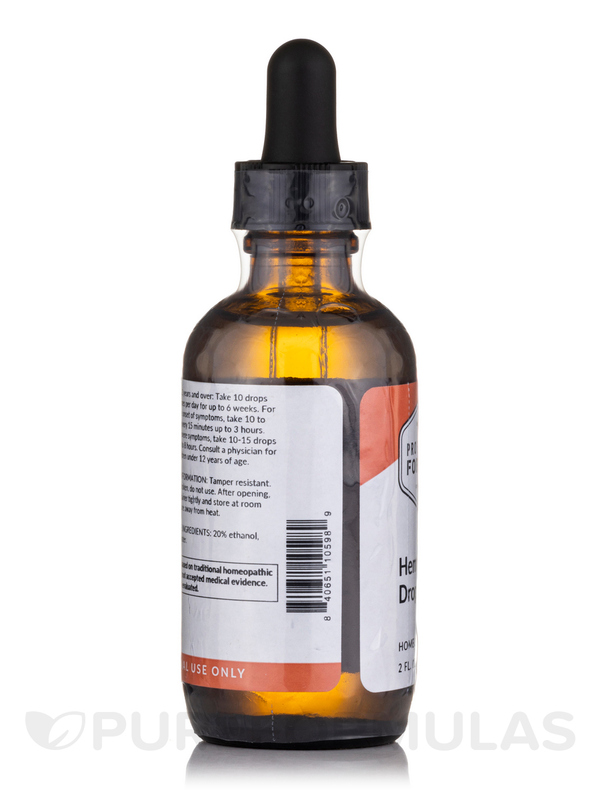 Hemorrhoid Drops by Professional Formulas is amazing, drops under the tongue lessen hemorrhoids. Doesn't even taste bad. 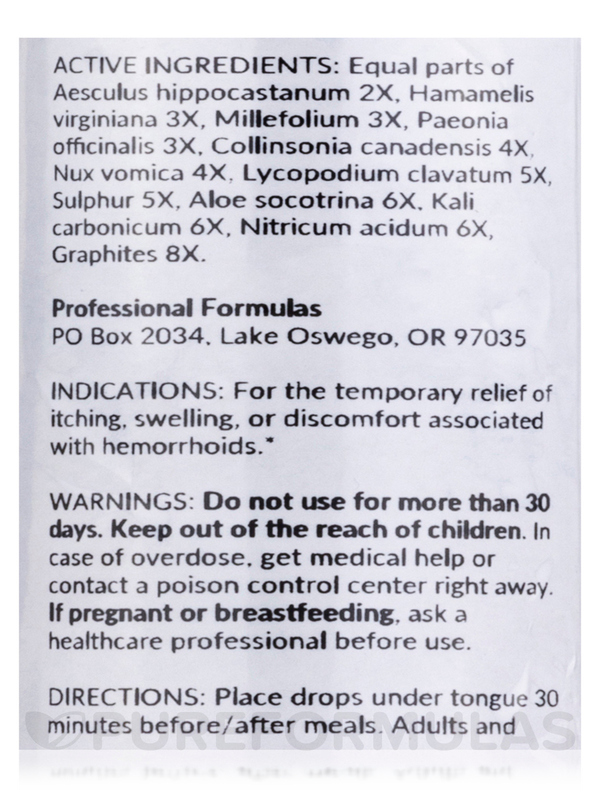 Hemorrhoid Drops by Professional Formulas works gentle on your system cleared up the issues!! Great stuff worth getting it and good for fissures. For the temporary relief of itching‚ swelling‚ or discomfort associated with hemorrhoids. Active Ingredients: Equal parts of Aesculus hippocastanum 2X‚ Hamamelis virginiana 3X‚ Millefolium 3X‚ Paenoia officinalis 3X‚ Collinsonia canadensis 4X‚ Nux vomica 4X‚ Lycopodium clavatum 5X‚ Sulphur 5X‚ Aloe socotrina 6X‚ Kali carbonicum 6X‚ Nitricum acidum 6X‚ Graphites 8X. Place drops under tongue 30 minutes before/after meals. Adults and children 12 years and over: Take 10 drops up to 3 times per day for up to 6 weeks. For immediate onset of symptoms‚ take 10 to 15 drops every 15 minutes up to 3 hours. 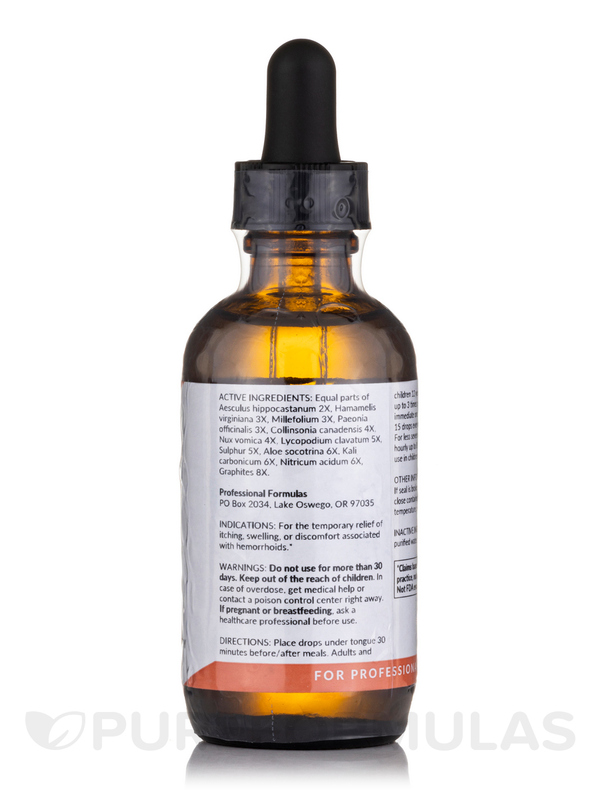 For less severe symptoms‚ take 10-15 drops hourly up to 8 hours. Hemorrhoid Drops by Professional Formula is a really good product!! Works for Fissures too easy on your system. I am a little confused as to how to use this. Is this taken orally or are these applied topically? Hi Nanette, thank you for choosing Pureformulas. This product is to be taken orally. Hope this helps. Have a happy and healthy day! How long after you started taking the product did you feel better? Hi Amy, thank you for choosing Pureformulas. For everyone it is different on how long it can take for this product to work since everyone reacts and breaks down to supplements differently. 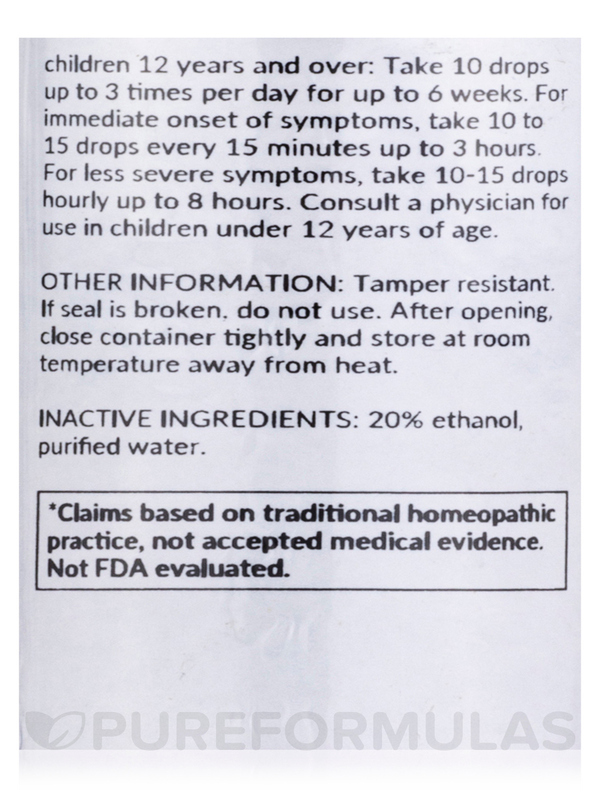 Please speak with your health care practitioner to know accurately if this product would be best for you.